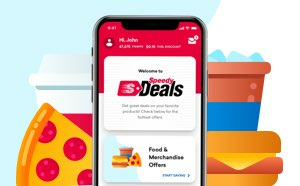 What is the Speedy Rewards Program? Speedy Rewards transforms your Speedway convenience store experience. Every time you make a purchase, excluding restricted items, you will immediately start earning points towards free gasoline and/or merchandise, as well as coupons for valuable savings, simply by using your Speedy Rewards card inside the store or at the pump. You can even instantly review and redeem your points using the Speedy Rewards terminal located inside the store or the Speedway mobile app. Why should I become a Speedy Rewards member? How many points do I earn for making purchases at Speedway? Speedway has select items throughout the month that you can purchase and earn Bonus Points. Bonus Points are earned in addition to the base points you receive for purchasing that particular item. Monthly Bonus Point items are identified at the Speedy Rewards terminal, www.Speedway.com, on the Speedway mobile app, or on special signs throughout the store. What items are not eligible for point accrual? Restricted items are items that are not eligible to earn base points. At this time restricted items include tobacco, alcohol, lottery, money orders, in-store restaurant, milk (PA only), Speedy Cash prepaid cards, Vanilla Visa, and NetSpend, PayPal, or Green Dot Reloadable products. What are Speedy Rewards clubs? Your point balance is printed on the Speedy Rewards receipt you receive after each transaction. Scan your Speedy Rewards card at the Speedy Rewards terminal and your current points balance will be displayed at the top of the screen. View your points balance, club status, and account activity on the web at SpeedyRewards.com. Download the Speedway mobile app and login to your account. Your points balance, club status, and transaction history will be at your fingertips at all times. How do I register my Speedy Rewards card? Online - Visit www.Speedway.com and click on Login/Sign Up. Click on Create Account. Enter your name, an email and create a PIN to register. Go to My Profile to complete your full profile. 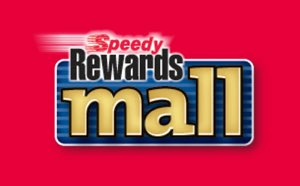 Speedy Rewards Terminal - Pick up a free Speedy Rewards card at any participating Speedway location. Simply scan your card at the Speedy Rewards terminal and press the Register Card button. Speedway Mobile App – Download the mobile app at either the Google Play Store or the Apple App store. Open the mobile app and press Register. The app will launch the registration process. Speedy Rewards Terminal – Visit the Speedy Rewards terminal located inside the store. Swipe your card and press the Manage Account button. Online at www.Speedway.com – Log into your account using your email address and PIN. Click on Manage Account in the upper right hand corner. Speedway Mobile App – Download the mobile app and login into your account using your email address and ​PIN. IOS: Click on the Settings symbol th​en Account Information. Android: Click on menu symbol, click Settings, then Account Information. Online - Go online to www.Speedway.com and login to your account using your email address and PIN. Under Manage Account, select the option for Replace Card. 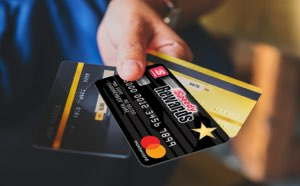 To transfer your points and profile to a new card, pick up a new card at any participating Speedway location and then return to www.SpeedyRewards.com and login to complete the Replace Card process. Speedy Rewards Terminal - Vi​sit the Speedy Rewards terminal located inside the store and press on Lost/Stolen Card on the main screen. You will need to provide one of the following groups of information so that we can validate your information: Speedy Rewards card number and PIN or email address and PIN. This information will allow you to report your card lost/stolen then you’ll be instructed to enter your replacement card number. You can pick up a replacement card from any sales associate. How do I protect my points in case my card is lost or stolen? The best way to protect your account from unauthorized point redemptions is to register your account. During the registration process you will be required to assign a PIN (personal identification number) to your Speedy Rewards account. If you keep your PIN a secret to protect it, no one else will be able to redeem points from your account. How do I use my Speedy Rewards card at the pump? Once pre-payment has occurred “LIFT NOZZLE AND SELECT GRADE” and begin fueling. Your sale is complete once the nozzle is placed back and asked “RECEIPT YES/NO?” Your updated Speedy Rewards points will be on the bottom of the sales receipt. Can I get a duplicate card to match my current card number? Speedy Rewards Terminal - Visit any participating Speedway store and locate the Speedy Rewards terminal. Simply scan your Speedy Rewards card at the terminal and choose the Redeem Points option. Here, you can see your points, rewards, and reward status. If you qualify for any rewards, a Print Reward button will be displayed under Reward Status. By touching that button, a coupon is instantly printed for you! You will be asked to verify your PIN prior to completing the process. The number of points required for that reward is then subtracted from your total points balance. Speedway Mobile App - Login to your Speedy Rewards account on the Speedway mobile app using your email address and PIN. Click on Rewards then Redeem to see a list of the rewards. Select the item of your choice and then you will be prompted to enter your PIN. Click Confirm PIN to Redeem and a digital coupon will be stored in your Speedy Wallet. The number of points required for that reward is then subtracted from your total points balance. Simply visit a Speedway store, pick up your reward item, and present your item and digital coupon to the store associate. Speedway Rewards Marketplace - Login to your Speedy Rewards account online using your email address and PIN. Under Redeem Points, select Marketplace. There you can shop with your Speedy Rewards Points for wide variety of items (i.e. toys, TVs, kitchen appliances, fashion accessories and much more). Once you have selected an item that you can afford with your points, proceed to check out, verify information and your reward will be shipped to the address assigned. The number of points required for that reward is then subtracted from your total points balance. Whom should I contact if I have a question or encounter a problem? Any store employee will be happy to assist in answering questions or solving any problems you may experience. You can also call our Customer Service center at 1-800-643-1948 (Monday - Friday, 7:00 AM - 8:00 PM EST, Saturday 8:00 AM - 12:00 PM EST) for assi​stance. How do I transfer points from my Speedy Rewards account to another account? Restricted Items may vary by location.